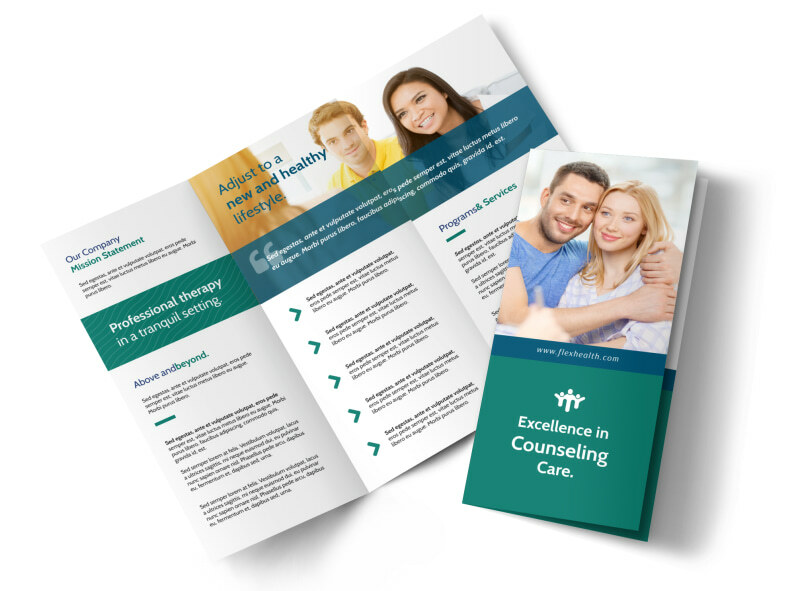 Customize our Happy Counseling Tri-Fold Brochure Template and more! 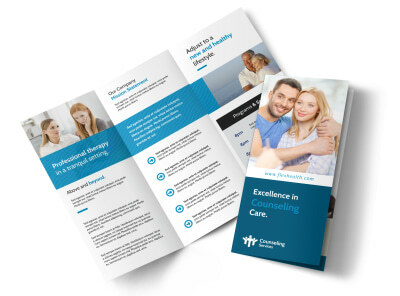 Educate your clients on the many services you offer with this trifold brochure you customize yourself. 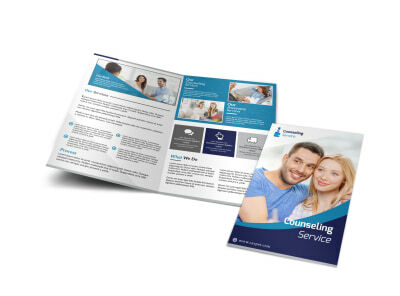 Provide a list of services that you offer, and give a rundown of the insurances that you accept and how to schedule an appointment using custom text. Then add custom graphics and images to draw attention. 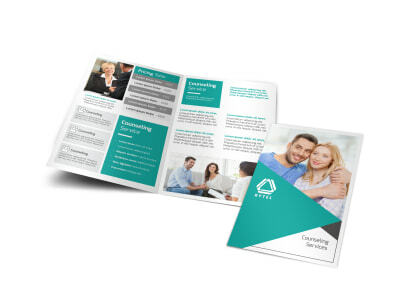 Get busy designing your brochure now, and get it in hand quickly when you choose our self-print option.